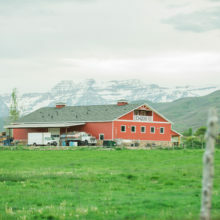 During our tour you’ll have the chance to see our cheese make room & aging cave, learn about our dairy farm and cheese-making process, as well as ask questions. We’ll also let you taste some of our bread cheese, Juustoleipa – a cheese meant to be grilled fried or baked. Following the tour, you’ll have the opportunity to purchase cheese, ice cream or other locally made items (jam, fudge, salsa). Please select the date and time you wish to tour our creamery. All reservations are final.